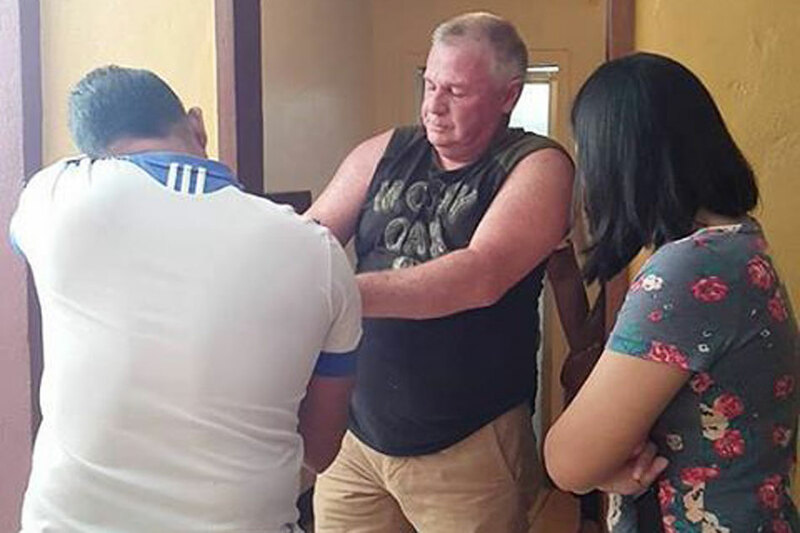 CAGAYAN DE ORO -- A 69-year old American national was arrested Sunday afternoon after police received a report that he checked in at a motel with a minor. Anthony Bruce Mallet was arrested by the police at a motel after a concerned citizen reported that he checked in at a motel with a 13-year-old girl. Mallet, however, insisted that the girl is turning 19 this year. Upon investigation, the girl admitted that she ran away from her home in Bukidnon and is living alone in Cagayan de Oro. Police are currently conducting a thorough background check of Mallet since he may have other child abuse records in other areas. Mallet is married to a Filipino woman and is residing at Barangay Canitoan in Cagayan de Oro City. He is currently detained at the Cagayan de Oro City police headquarters and will face charges for violation of Republic Act 7610, also known as the Anti Child Abuse Act. The girl, on the other hand, will be placed under the custody of the city's Social Welfare Department, while authorities search for her parents.